March 5, 2019: The World Photography Organisation today announces artist Nadav Kander as recipient of the 2019 Outstanding Contribution to Photography award at the Sony World Photography Awards. The artist will be honored at a London awards’ ceremony on April 17 for his versatility and significant impact on the medium of photography. The Awards will also celebrate the artist with a substantial presentation of his work at the 2019 Sony World Photography Awards Exhibition, running April 18 - May 6 at Somerset House, London. The exhibition will give audiences the rare opportunity to view seven varied bodies of Kander’s acclaimed and lesser-known works in one space, including portraiture, figure studies, landscapes and moving image. To mark the opening of the exhibition, a public talk with Nadav Kander interviewed by William A. Ewing will be held on Thursday 18 April. The 2019 edition of the Sony World Photography Awards hardcover book will also include a newly commissioned essay on the artist’s work by David Campany and a special selection of photographs. In accepting the Outstanding Contribution to Photography award, Kander joins past honorees including Candida Höfer, Martin Parr, Elliott Erwitt, William Klein, Eve Arnold and Mary Ellen Mark. Kander’s work in the 2019 Sony World Photography Awards Exhibition has been produced in association with Flowers Gallery London and New York. A solo exhibition, Nadav Kander: Dark Line - The Thames Estuary takes place at Flowers Gallery New York from 4 April - 25 May 2019. EXHIBITION PRESS PREVIEW: Thursday 18 April, 9am at Somerset House, London. 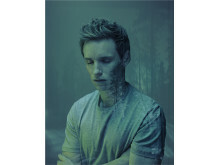 In a career spanning more than 30 years, Nadav Kander (b. 1961) has remained a formidable force in photography. His artistic practice stretches across the photographic medium, and his award-winning commercial, portraiture, figurative and landscape work is all underlined by the signature style which often evokes feelings of quiet and unease. Living and working in London, Kander has released seven books and has been included in almost 30 international exhibitions. In 2015, he was awarded an Honorary Fellowship Award from the Royal Photographic Society, and his works are housed in multiple public collections worldwide including the National Portrait Gallery, London and the Museum of Contemporary Photography, Chicago. 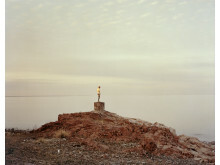 Selected past projects include; Yangtze – The Long River, winner of the Prix Pictet award in 2009; Dust, which explored the vestiges of the Cold War through the radioactive ruins of secret cities on the border between Kazakhstan and Russia; Bodies 6 Women, 1 Man; and Obama’s People, an acclaimed 52 portrait series commissioned by the New York Times Magazine. 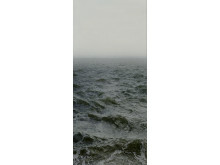 His ongoing series, Dark Line - The Thames Estuary, is a personal reflection on the landscape of the River Thames at its point of connection with the sea. 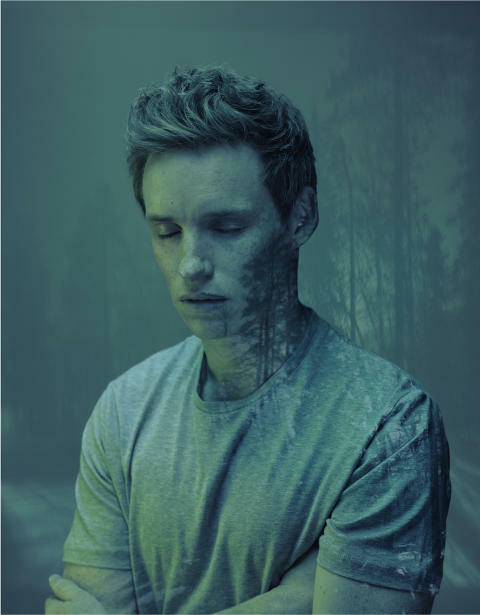 Nadav Kander’s work will be shown at Somerset House, London as part of the 2019 Sony World Photography Awards Exhibition. This major new exhibition offers an in-depth look at the very best visual storytelling and imagery from 2018 by artists from across the world who have been awarded in the 2019 Awards. With over 800 images on display, and featuring a broad range of photographic approaches and diverse subjects, this global photography exhibition presents the Sony World Photography Awards’ winning and shortlisted entries, including the Photographer of the Year, across its four competitions: Professional, Open, Youth and Student. 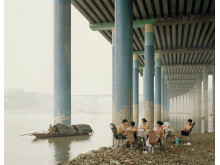 The 2019 edition received 327,000 submissions from 195 countries and territories, making it one of the world’s most important photography competitions. Alongside the main display, there will be an exclusive exhibition of works by recipients of the 2018 Professional, Student and Sony Alpha Female grants, as well as the shortlisted and winning imagery of the 2019 ZEISS Photography Award. In addition, there will be a carefully curated set of images from The Swap Project; an initiative between the World Photography Organisation and the Creativehub which involved the global photography community swapping their best prints with one another. Following its London debut, the 2019 Sony World Photography Awards Exhibition will embark on a global tour including exhibitions in Japan, Germany and Italy.